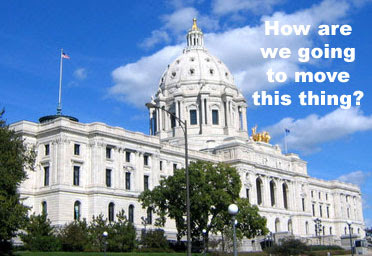 The West Central Blogger: Will state's capital move to west central Minnesota? Will state's capital move to west central Minnesota? Minnesota communities will vie for the honorary title of "Capital for a Day" in May 2008 as part of Minnesota's 150th celebration. Residents will nominate and vote via the Sesquicentennial Web site for the five cities that will represent Minnesota's five geographical areas. West central Minnesota is in the prairie grasslands and deciduous forest zones of the state. To vote for your favorite west central Minnesota town, county, region, reservation or township, visit http://www.mn150years.org/.